There are many ways your workplace can fundraise for PASIC. It’s also a great way to encourage team building, engaging your customers, and in larger companies meet your CSR goals. We’re an enthusiastic bunch who pride ourselves on building rewarding partnerships with national and local businesses of all sizes to suit your needs. Why not support PASIC in a charity partnership or as a one off fundraiser to help make life better for families of children and young people with cancer in your local community? Give us a call on 07935 330805 or send us an email. 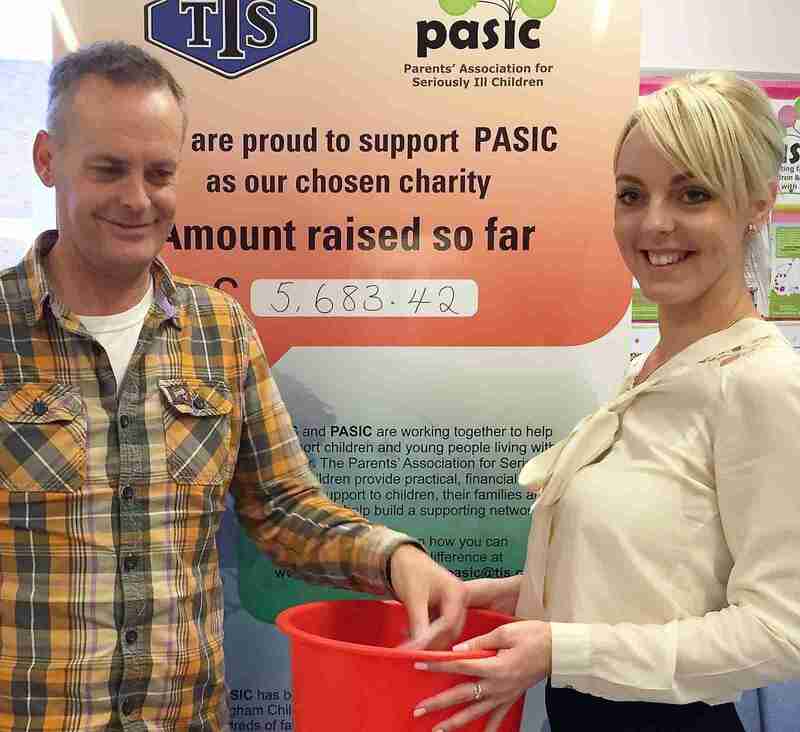 We’re always amazed at just what can be achieved when local businesses work creatively to give PASIC a helping hand. Your support can mean a huge difference to the work we do to help families facing childhood cancer. Can your workplace or business donate support in kind? A service or a product, printing or practical help such as storage space or somewhere to meet. Businesses we’ve worked with say volunteering helps employee engagement and can involve helping with one off events and projects or lending copywriting, marketing, design and I.T. skills or social media expertise. If you’d like to discuss how your team could partner up with PASIC, contact us or call 07935 330805.